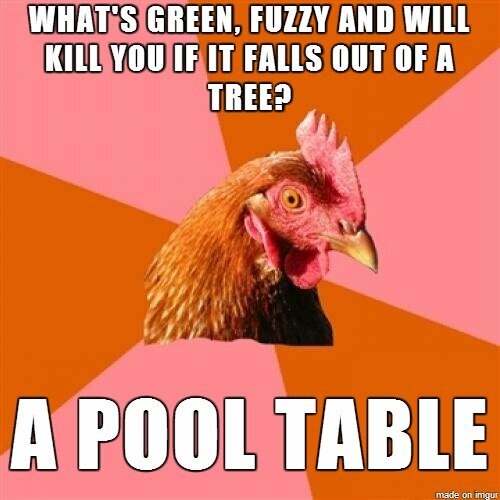 This entry was posted in Amazing and tagged chicken, joke, pool table, wtf. Bookmark the permalink. Been too long since you got F. A. T.